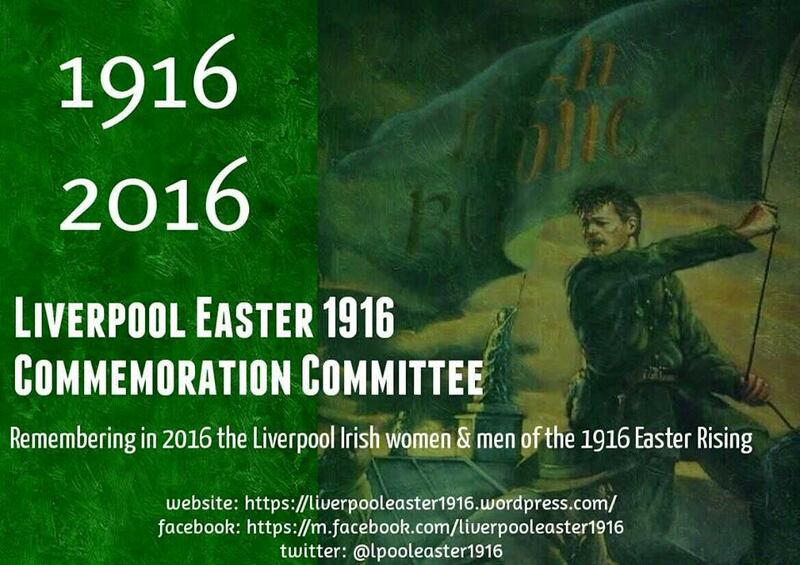 Membership of the Liverpool Easter 1916 Commemoration Committee is open to all. By taking membership you will be playing your part in ensuring the memory of the women and men of Easter 1916 will be appropriately remembered in a dignified manner during 2016. You will also ensure that a previously untold aspect of the history of the Irish community on Merseyside is recognised and told. All memberships and donations will be highlighted in our future Centenary publication. The Secretary, Liverpool Easter 1916 Commemoration Committee, St Michaels Irish Centre, Boundary Lane, Liverpool, L6 5JG. Cheques should be made payable to the ‘Liverpool Easter 1916 Commemoration Committee’. We particularly welcome any donations made to further the aims and objectives of the Committee. Any donations can be sent to The Secretary c/o St Michaels Irish Centre and will be gratefully received and recognised.